One does not simply walk into Mordor. One must also be able to take selfies there. That seems to be the thinking behind a fun new feature added to Middle-earth: Shadow of Mordor in a new software update for the current gen console editions. The photo mode is activated in the options menu, and then triggered in-game by pressing the left thumbstick on your controller. Photo mode freezes the action and with all the on-screen info stripped away, you can tinker with the zoom level and even change the depth of field for more artistically staged images. You can also add different frames around your photo, use filters to change the colour saturation and add texture effects so you can make it look like the image is printed on canvas, for instance. It's a really cool feature, and lots of fun to play around with. It's especially handy in his game, where the brutal combat and unique enemies can lead to some memorable action moments that you'll genuinely want to capture for posterity. The only downside is that the system can't save the screenshots itself, so you'll need to rely on your console or PC to do that part. PlayStation 4's sharing features also allow screenshot capture. On Xbox One, you'll need to use Kinect voice commands to tell the console to record your snap. 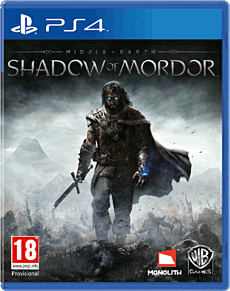 Middle-earth: Shadow of Mordor is out now for PlayStation 4, Xbox One, PC, PlayStation 3 and Xbox 360. Get the games you want at our best price with our exclusive Online Pre-Order Price Guarantee. Reserve your copy before release day to get our best possible price - and make sure you don't miss out on exclusive limited edition. By preordering with us online, you not only reserve your copy ready for release day, but also get the best possible price. If it goes up in price after you've placed your order, you won't have to pay a penny more. If it drops? You'll only have to pay the lower amount. Our Online Preorder Price Guarantee makes sure that you get the most for your money. We will ship your preordered item to you prior to release via your chosen method of shipping. The vast majority of preorders arrive for the day of release. However we cannot guarantee delivery by release date for standard Royal Mail deliveries, because Royal Mail cannot make this guarantee. Please note that release dates are subject to change and international orders will take longer to be delivered. You won't be charged before your stuff has been dispatched. We'll make sure we've got the right card details by authorising £1 when you place your order. This won't leave your account, and will be available again to use within a few days. Our Online Preorder Price Guarantee means you'll always get the best possible price. That's a promise.